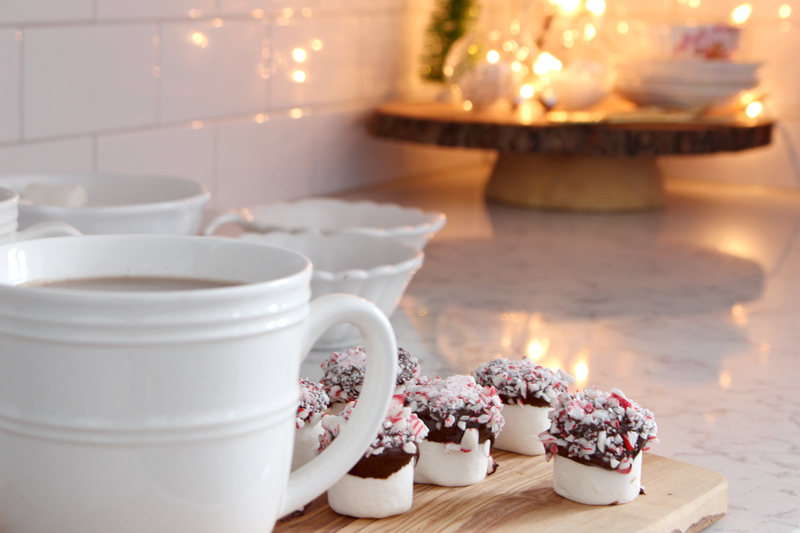 elliven studio: Chocolate & Candy Cane Dipped Marshmallows! 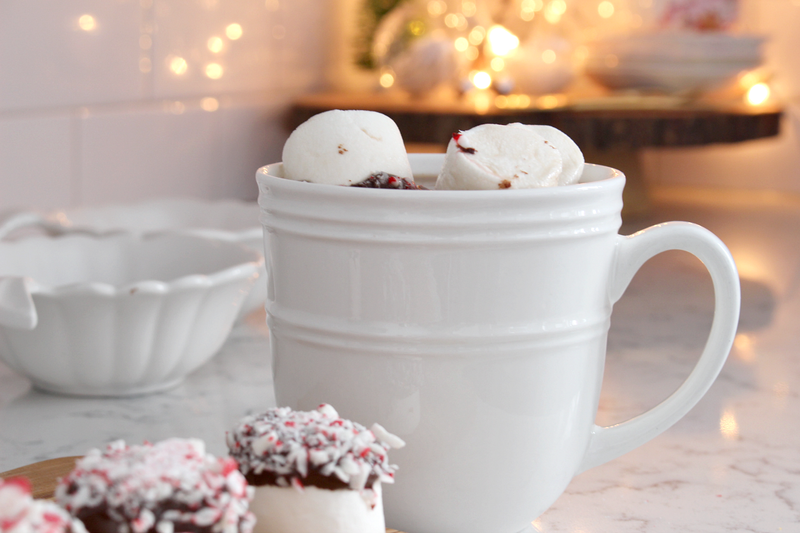 It's that time of the year, when the kids go outside to play in the snow and by the time they come back in, they are craving a cup of warm hot chocolate. I kind of love this little tradition that has come to be. Last week we had our first snowfall and of course, the kids wasted not time in going outside to make snow angels, snowmen, snowballs and such! 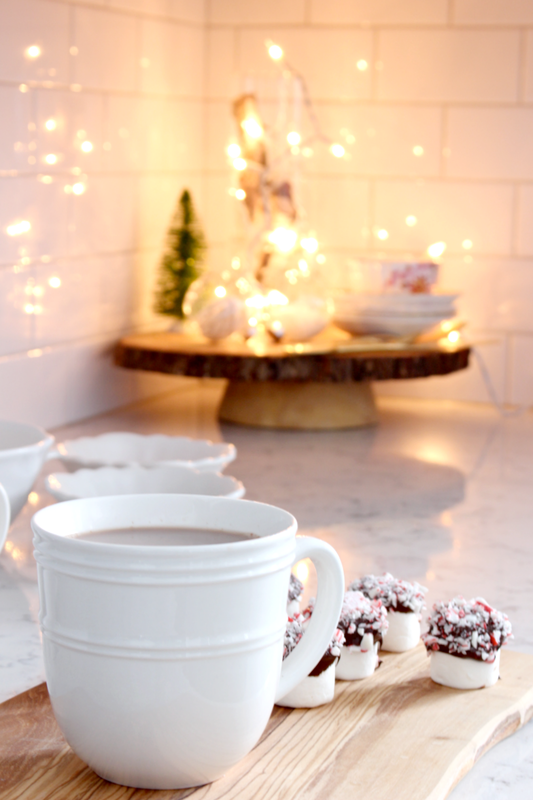 I warmed up the water in prep for their return and guaranteed request for some hot chocolate. It got me thinking though, that I'd like to surprise them with something a little different every now and then. 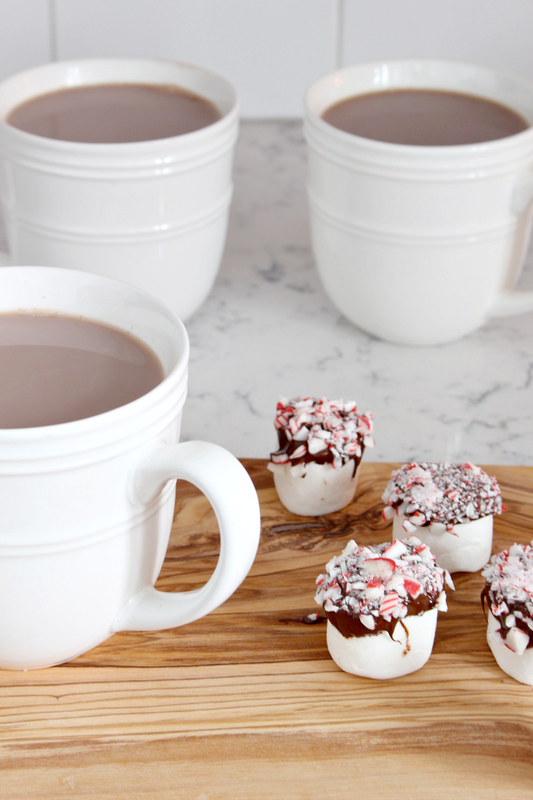 They absolutely love to add marshmallows to their hot chocolate so I thought why not jazz up those delicious treats by dipping them in chocolate and adding bits of candy cane to them! I have to admit, crushing the candy canes is a messy job, they are so so so sticky, but it's well worth it! I break up the candy canes a bit, throw them into a ziplock bag and then use a rolling pin to break them into small pieces (I place the bag on a cutting board). This is still pretty messy, but it does do the trick. I've used a mini food proceessor before and it does the job well, but again, it's a sticky and mess job. 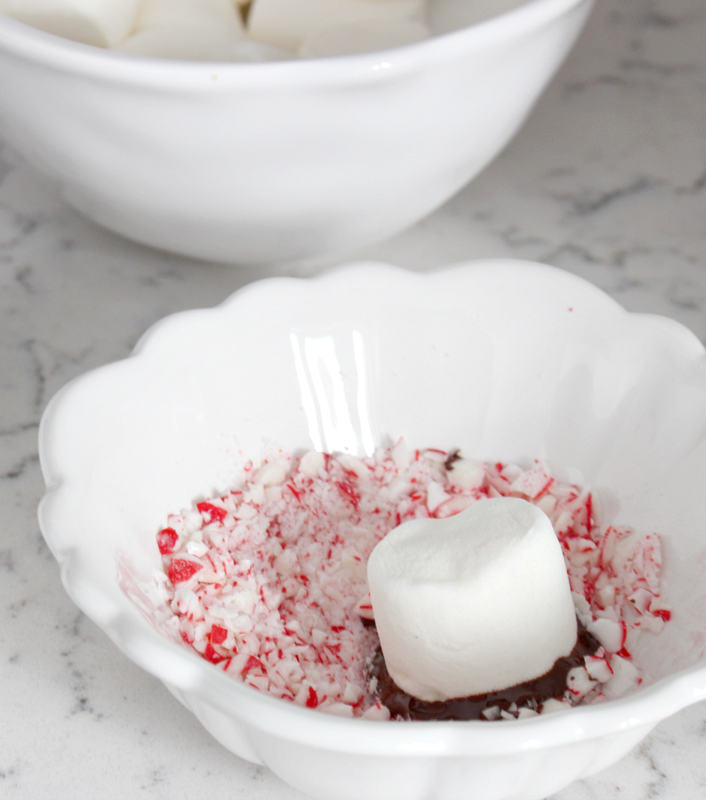 After you've crushed your candy canes, you'll want to melt some chocolate. We had some semi-sweet chocolate chips on hand, so I melted them on the stove (I prefer melting the chocolate chips in a heat-safe bowl on the stove by placing it in a pot of water, like this). 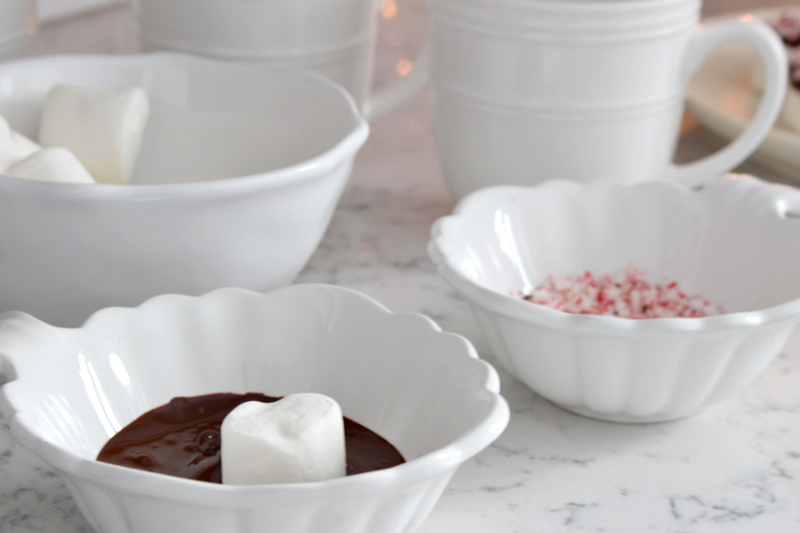 Then it's just a matter of dipping your marshmallows into the bowl of melted chocolate (really give them a good dip to cover them generously), next you dip them into the bowl of crushed candy canes. 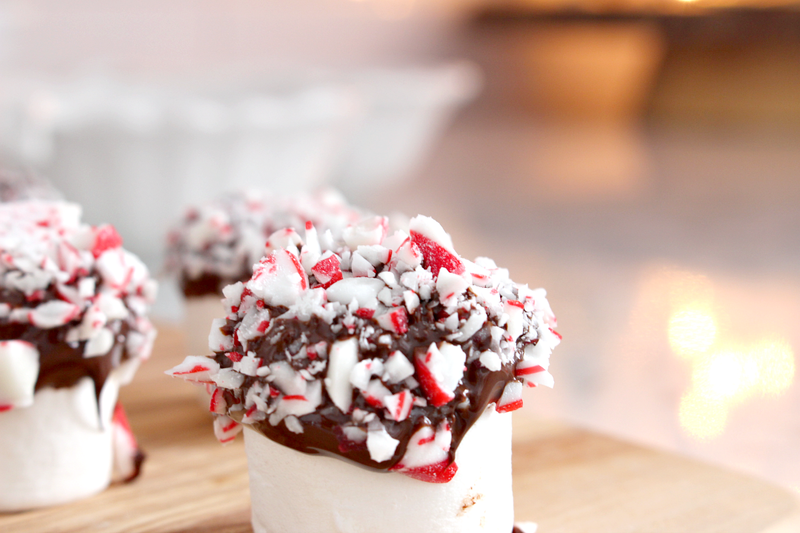 Once they are nicely covered, place them right side up on a plate and put them in the fridge until the chocolate has hardened or until you are ready to enjoy them! 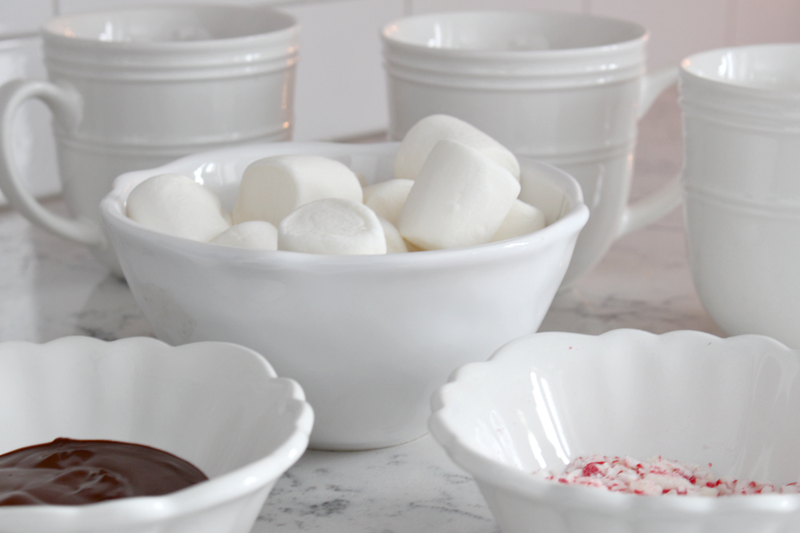 You are then left with a treat that can be eaten on it's own (perfect for parties!) 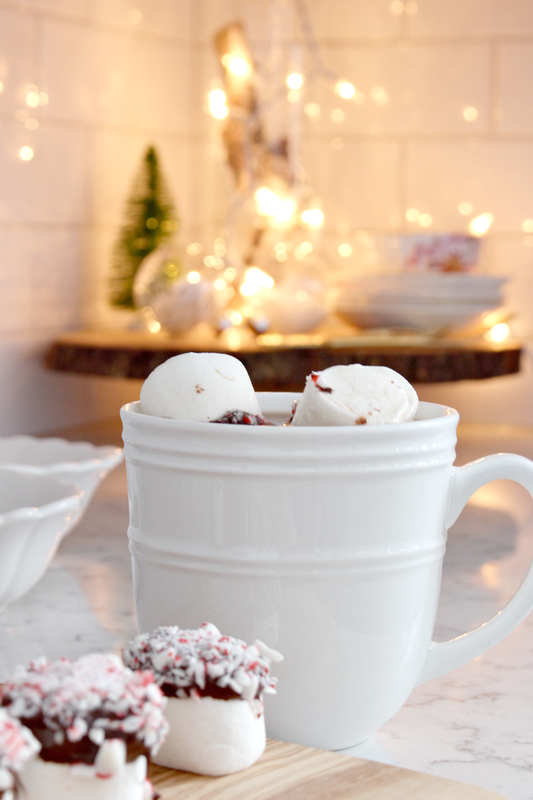 or thrown into your favourite cup of hot chocolate. I couldn't believe how much the kids enjoyed these! They gobbled the leftovers up so quickly! 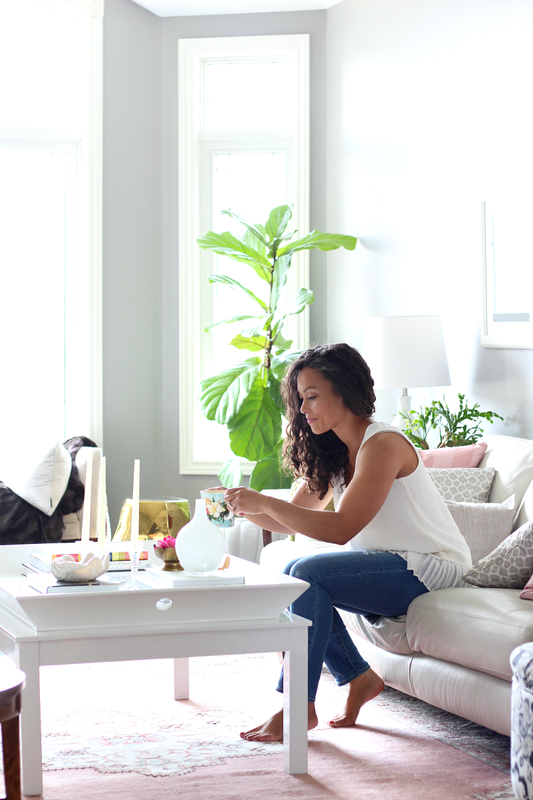 This sounds and looks like a yummy treat for young and young at heart. Perfect dessert drink. Thank you for sharing. Your post makes me so excited for the holidays! So inspiring!! 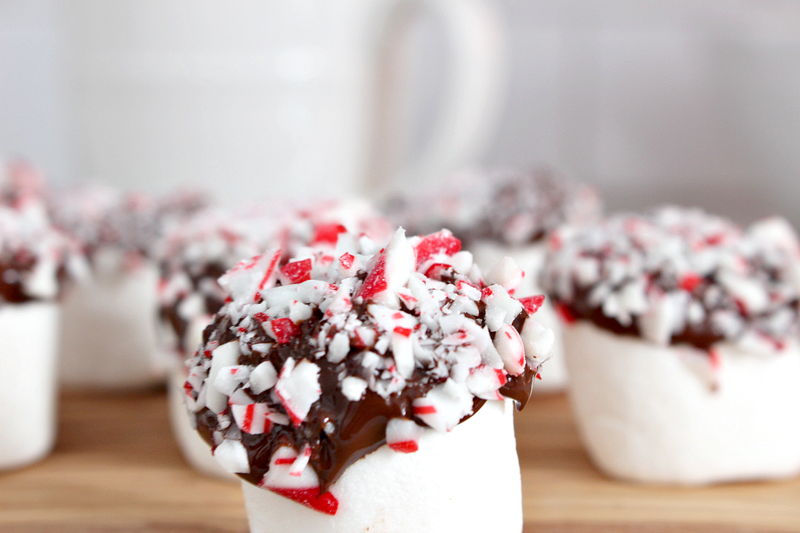 I'm totally going to make these! These are our favourites too. Also if you put them on a paper straw they are great to send for school parties.